If you’ve been around FMITK before, you know I’m obsessed with my Camerons Stovetop Smoker . Just when I thought I couldn’t love my smoker any more, I smoked some baby back ribs, and fell in love all over gain. Legit butterflies in my stomach. REAL LOVE. 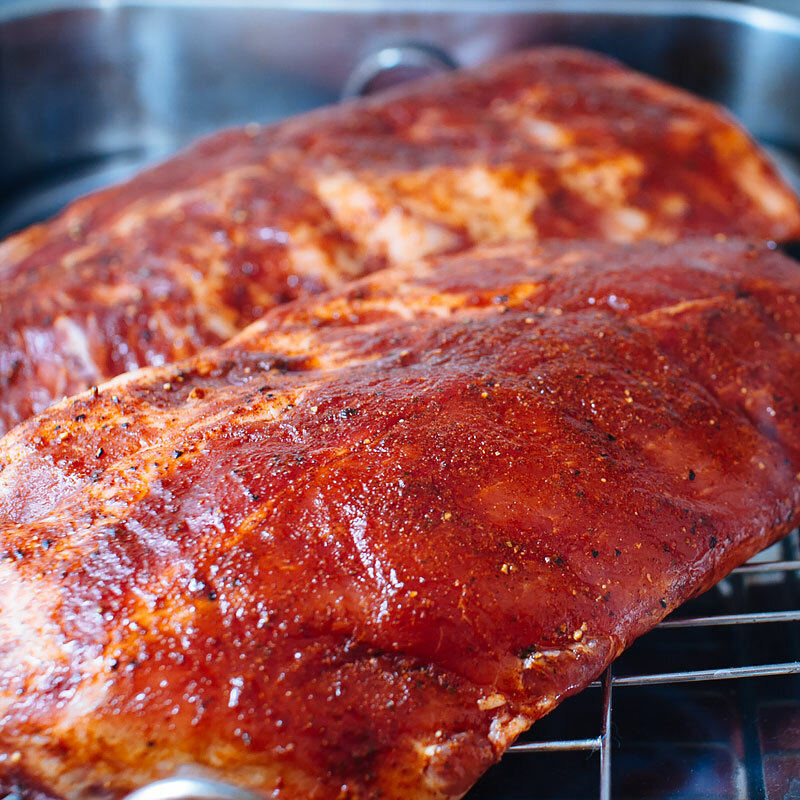 An hour in the smoker is all you need to impart that delicious, smoky flavor. 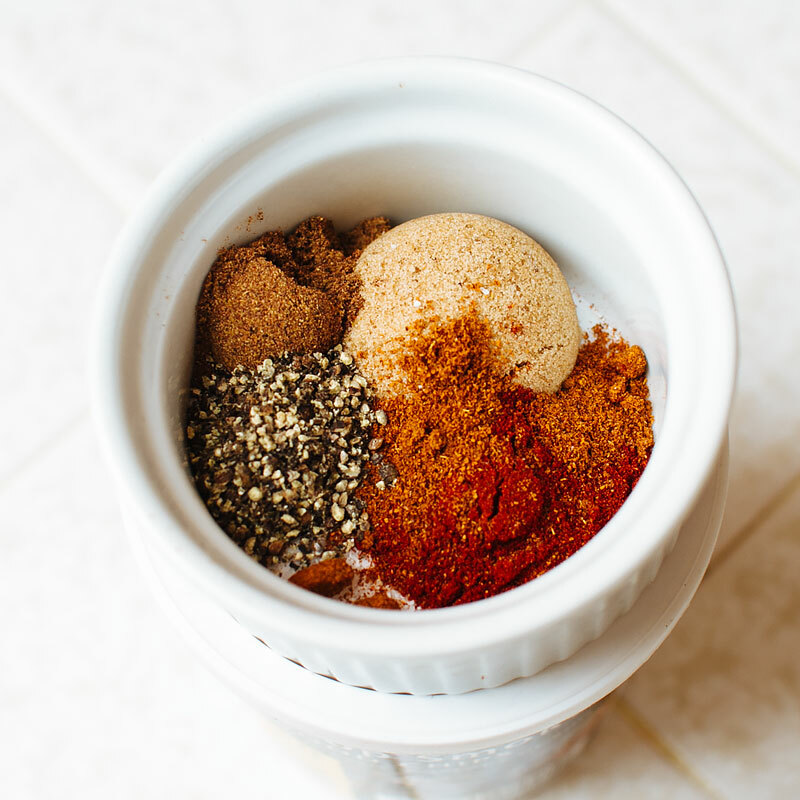 The homemade rub in this recipe makes it extraly special, but feel free to use your favorite rub or seasoning of choice (Note for my Paleo friends: replace the brown sugar with coconut sugar or omit it completely). 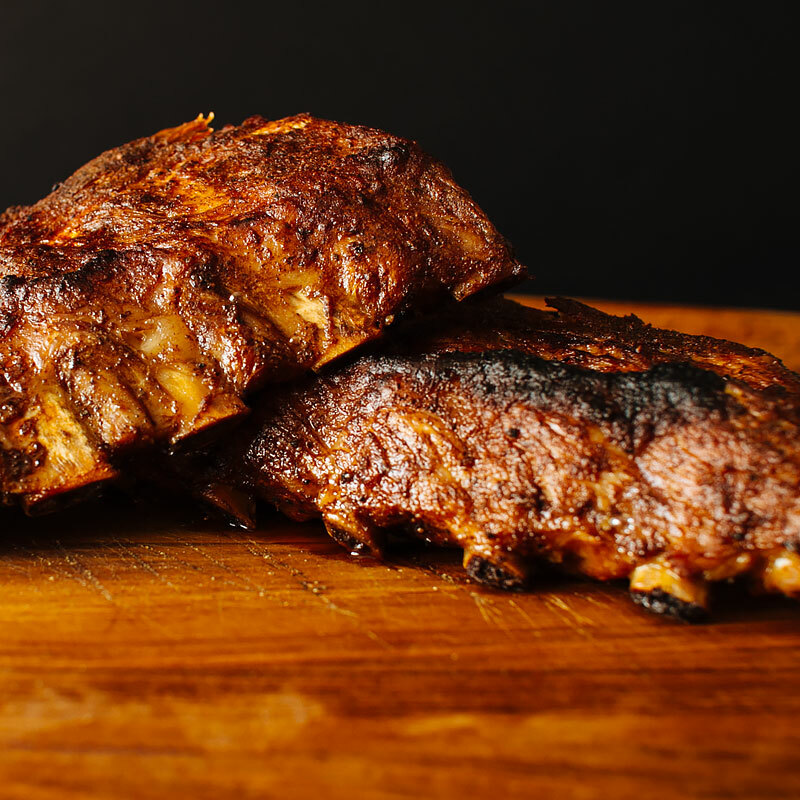 After another 90 minutes in the oven, you have melt-in-your-mouth, smoke-kissed ribs that are so flavorful that no sauce is necessary. However, if you enjoy a saucy rib, brush a bit of your favorite sauce on top right before you broil them for caramelized, sticky, ribby awesomeness. If I still haven’t convinced you to buy a stovetop smoker, check out this video on how to make one out of a large pot, a steamer basket and some foil! 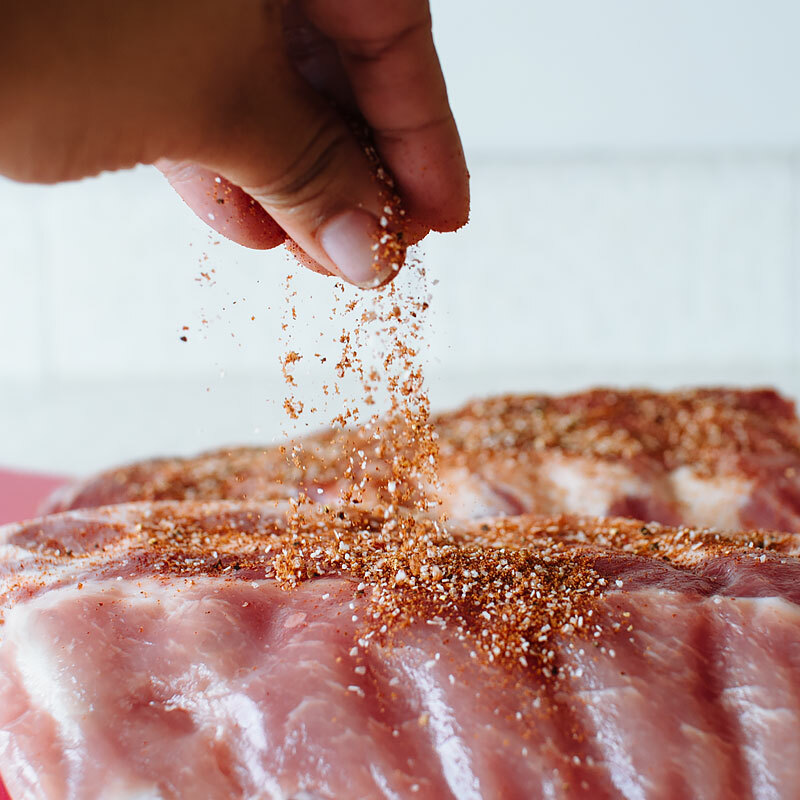 You’ll need a slab of baby back ribs, brown sugar, kosher salt, paprika, chinese five spice, black pepper, cayenne pepper and wood chips for smoking. I’m using pecan. Combine the brown sugar, paprika, chinese five spice, pepper, salt, cayenne in a small bowl and mix. Sprinkle the ribs with the seasoning on both sides. Set up the stovetop smoker with 3 tbsp of wood chips and fit with drip tray and rack. You might have to cut the rack of ribs in half to fit into the smoker. Smoke for 1 hour. 5 minutes before the hour is up, preheat the oven to 275F. 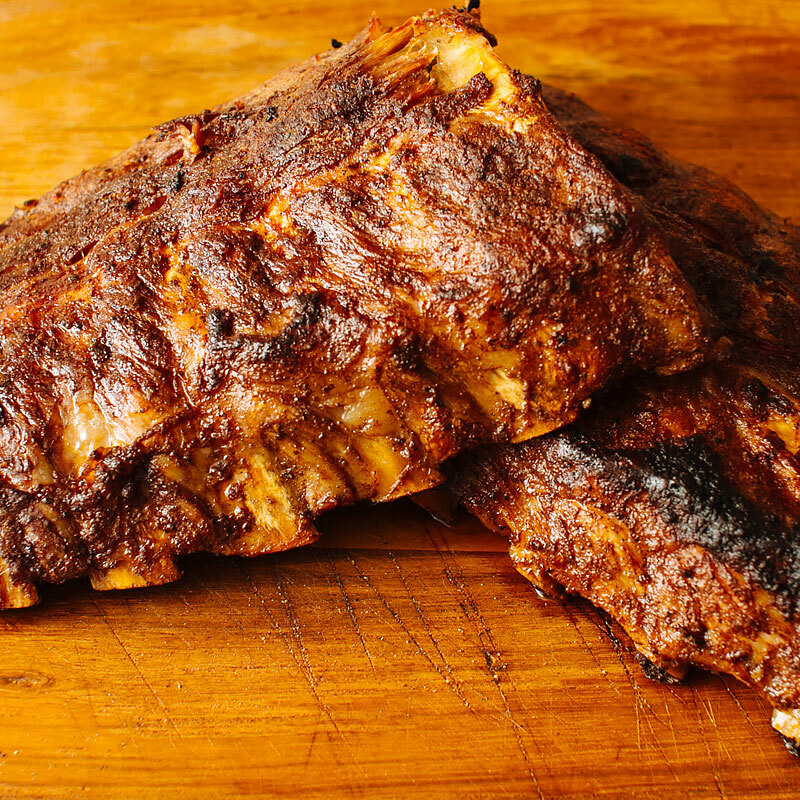 Place the smoked ribs in a baking dish and cover tightly with foil. Bake for 1 1/2 hours, until tender. Once the ribs are tender, broil for about 5 minutes to crisp the top. This is optional…like, optional but necessary lol. That’s it! Smoke dry rubbed deliciousness. If you’re a sauce person, feel free to brush it on. I like them just. like. this. I ate half of this rack standing over the stove. We’ont need no plates. Combine the salt, brown sugar, paprika, chinese five spice, black pepper and cayenne in a small bowl. Season the ribs, front and backside. Fit a stovetop smoker with pecan wood chips, drip tray and rack. Smoke the ribs over medium low heat for 1 hour. 5 minutes before the hour is up, preheat oven to 275F. 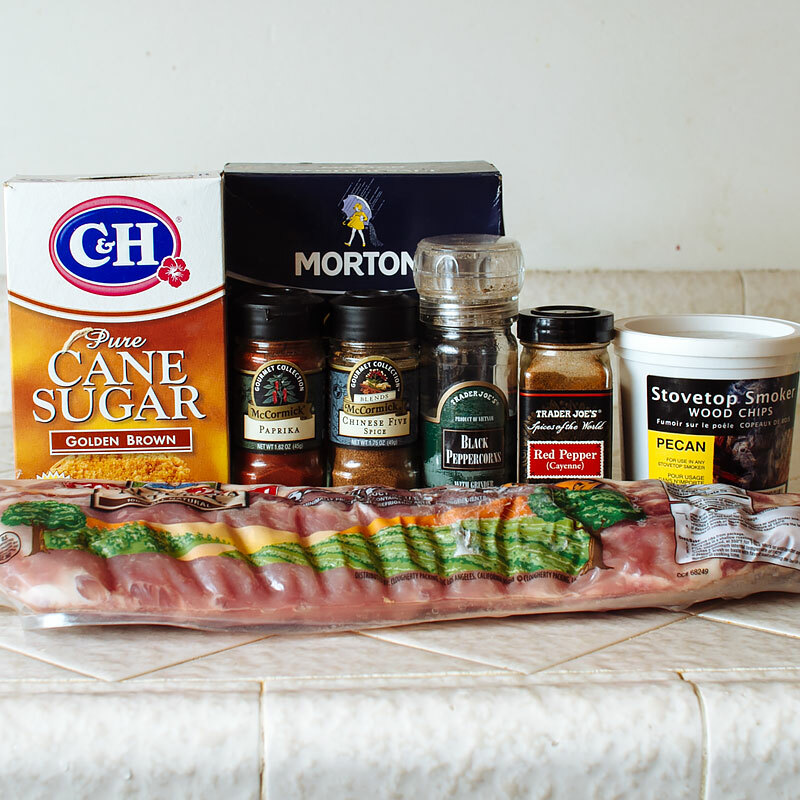 Place the ribs in a baking dish and wrap with foil. Bake 1 1/2 hours, until tender. Crisp up the top of the ribs by broiling for about 10 minutes. Make it paleo - replace the brown sugar with coconut sugar or just omit it completely. 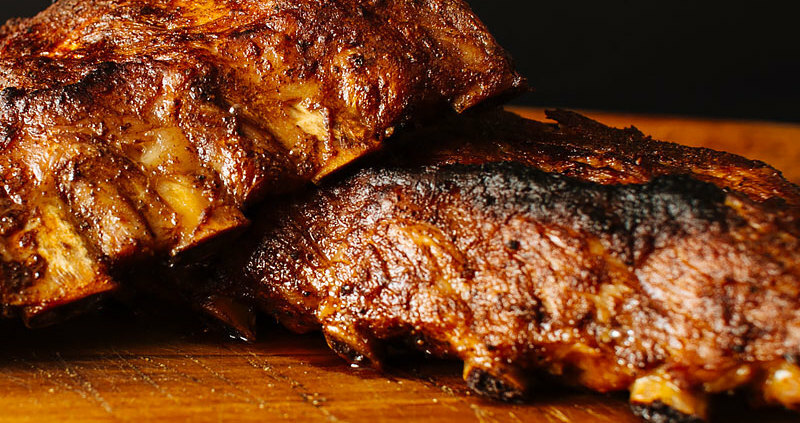 Can you use beef ribs? And, can you do the oven/broiler cooking the day after? Hi Kamilah! 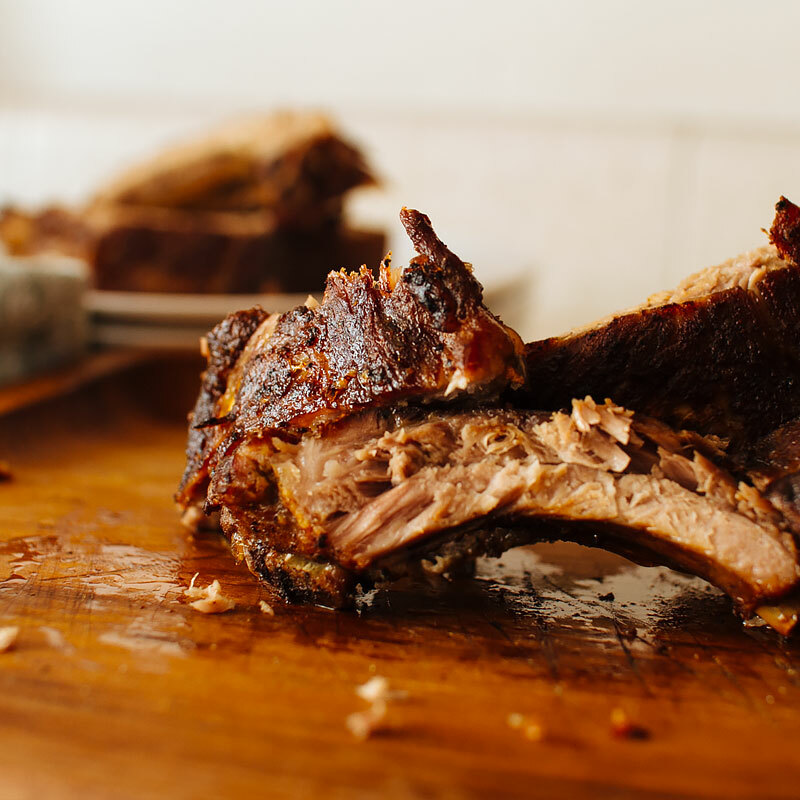 I’m sure you could do this with beef ribs with delicious results! You’ll probably have to cook them a bit longer for the oven portion, though. I don’t recommend splitting up the cooking process UNLESS you cook the ribs all the way through during the smoking process or you refrigerate them immediately after smoking to prevent any type of bacterial growth. I hope that helps! I transfer the ribs to a baking dish because I don’t want to bother cleaning out the woodchips from the bottom of the smoker pan. I’m not sure how the chips at the bottom of the pan would do in the oven after being on the stovetop for an hour. That’s pretty much the only reason 🙂 Let me know how they come out! Thank you for posting this recipe! I just dragged my smoker out of retirement and I’m midway through making the ribs and already declaring them a success! I used Ethiopian berber spice and cherry wood chips. Can’t wait to get them broiled up and eaten up!